It is with great sadness that I learned this morning that the female bald eagle at a nest I have watched for the past few years was a casualty of the Denver area’s blizzard last week. I am working to learn more but it appears she was injured somehow during the storm, found on the ground, and passed away en route to a rehab facility. I have taken thousands of pictures of this beautiful pair and in fact, an image of them – this one taken in February 2017 – is on the wall in my family room at home. They gave me many hours of enjoyment as I stood watching and marveling at them. 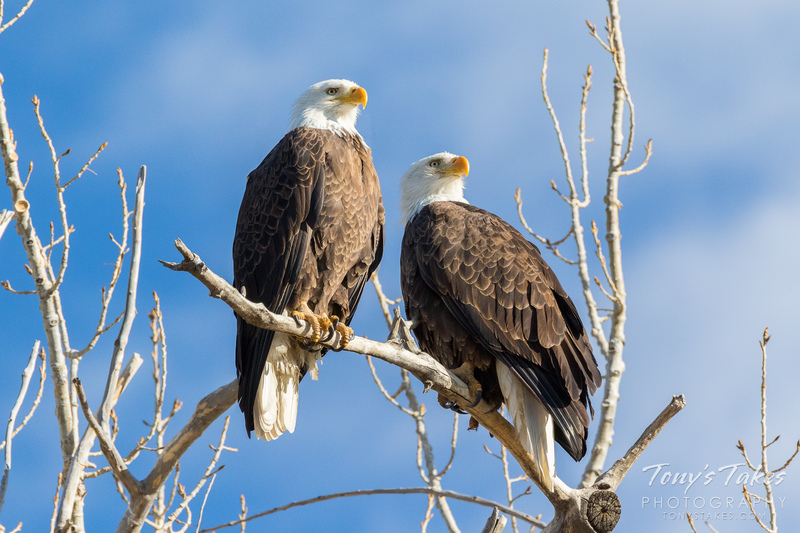 Update 3/19/19, 2:05pm: Colorado Parks and Wildlife has determined it was the male of the nested pair that passed away. Sadly, the outcome for the nest is likely going to be the same.